Gout is a condition caused by excess build up of uric acid, which results in the collection of urate crystals in the tissues. Gout and arthritis and are the build up of toxins in the body. Blood surrounds the crystals and causes inflammation and pain in the joints, commonly known as arthritis. Kombucha and its treatment for gout is a major discussion in the medical community. Gout has been effecting people throughout history and was first diagnosed over 2,000 years ago, making Gout one of our longest-known diseases. Gout was considered the “Disease of Kings” because it was thought to be a result of overindulgence of fatty foods and alcohol. Recent scientific studies show that while such overindulgence can definitely heighten the risk of gout, anybody can be affected by the pain of gout. Gout is a form of arthritis that often sneaks up in the middle of the night, suddenly attacking your joints with a deep, persistent pain. Gout most often results when needle-like crystals of uric acid form in the body’s connective tissue in the spaces between two bones (in the joints) causing uric acid crystals to inflame the surrounding area and lead to inflammatory arthritis. This inflammatory arthritis is responsible for pain, heat, redness, stiffness, and swelling commonly associated with gout. The synovium is a thin layer of tissue (only a few cells thick) which lines the joints and tendon sheaths. The synovium acts to control the environment within the joint and tendon sheath. It does this in two ways: first, it acts as a membrane to determine what can pass into the joint space and what stays outside; second, the cells within the synovium produce substances that lubricate the joint.The synovium inside joints can become irritated and thickened in conditions such as gout, and this is called synovitis. 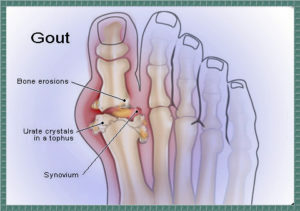 The main symptoms of gout are extreme pain, swelling, throbbing and heat in the joint of your big toe. *Multiple attacks of acute arthritis. *Arthritis attacks that develop over the course of an extremely quick time. *12-24 hours with inflamed, painful, red, and hot joints. most often affecting the toe, ankle, or knee. The first attack of gout most often affects the joints of the big toe. Gout is thought to affect the big toe of 75% of all patients during the course of the disease. Your doctor can test for the presence of uric acid crystals in your joint fluid by taking a sample of the fluid in the affected joint . Ask your doctor about kombucha and gout. Doctors are usually able to recognize the unique symptoms to diagnose that you do indeed have gout without testing. The effects of gout can be found in other joints such as the elbows, fingers, heels, instep, and wrists. If you experience any of the these signs or symptoms, it is very possible that you are suffering from gout. Your doctor will probably put you on some expensive pills that does who knows what to the rest of your body. Daily kombucha users with symptoms of gout have had great success. The great thing about kombucha is that it breaks down the uric acid and flushes it out of your system, unlike the medication that relieves the inflammation temporarily. The most typical victim of gout is male, over 35, and at least somewhat overweight, but anyone can get gout. Men tend to have higher levels of uric acid in their bodies to begin with, affecting more men than women. However, after menopause, a woman’s uric acid level actually rises to be comparable to a man’s level. Age seems to play a role in the onset of gout. Men typically develop gout between the ages of 30 and 50. Women, on the other hand, rarely develop symptoms until they are 50 and older. Very few cases of gout have been diagnosed in children and young adults. Gout affects nearly 1% of the world’s population and is responsible for nearly 5% of all arthritis sufferers. 1 out of every 4 people with gout have a family history of gout. Genetics is currently not fully understood, and researchers are hopeful that such information will greatly impact the early diagnosis and prevention of gout in the future. How Kombucha can Help With Gout? 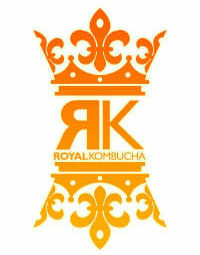 Studies indicate conclusively that kombucha tea stops the build-up of uric acid into crystals of urate. Many of our customers throughout the years have raved about the success rate of kombucha and gout. Kombucha turns uric acid into a water soluble solution that is flushed out the system through the urinary tract; these toxins are dissolved and excreted by the kidneys by combining with glucuronic acid to form soluble glucuronides or paired glucuronic acid. Kombucha tea has also been known to help eliminate stones in kidneys and gall bladder. If you suffer from gout, you know how expensive the medicine is to treat it! What we do not know are the negative effects of putting these high concentrations of chemicals in our body, so if you are looking for a healthy and affordable option, kombucha is the answer. Kombucha and gout the battle worth trying! If you can make tea you can make kombucha! It’s very easy to do. Our team will help you from start to finish with online and phone support. 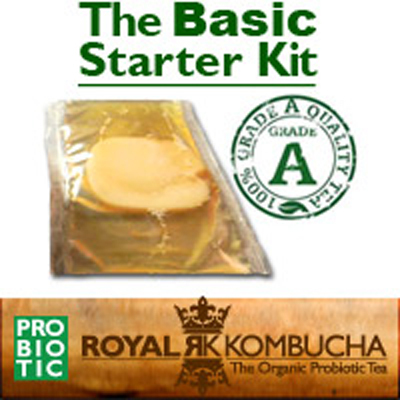 Our kombucha starter kits come with easy illustrated instructions and are guaranteed to grow and last a lifetime! With one kombucha starter kit you can make an endless supply of kombucha tea. Yes to endless kombucha! Perfect for the first time brewer. This kit is the simplest way to get started on brewing kombucha on your own. We’re available via phone and online if you ever need support – our knowledgeable staff will help you with your cultivation from start to finish.